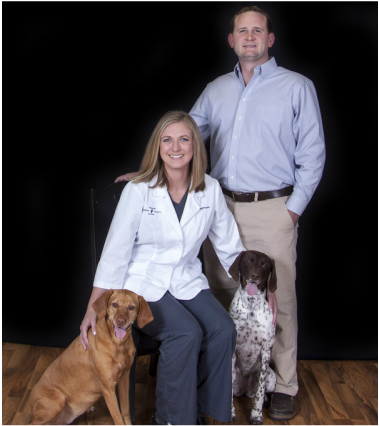 Dr. Kate and Dr. Pat met during veterinary school at Iowa State University. Following graduation they married and both practiced mixed animal medicine for a couple of years. Drs Kate and Pat became more focused on small animal practice and swine practice, respectively as thier careers developed. On St Patrick's Day 2014 Drs Kate and Pat purchased Atlantic Animal Health Center from Dr. Keith Leonard. Dr. Kate is the general practitioner and manages AAHC, while Dr. Pat practices swine medicine with DNA Genetics. Since purchasing the practice the clinic has undergone full remodeling and clients and patients have transitioned to knowing and trusting their new Doctor.